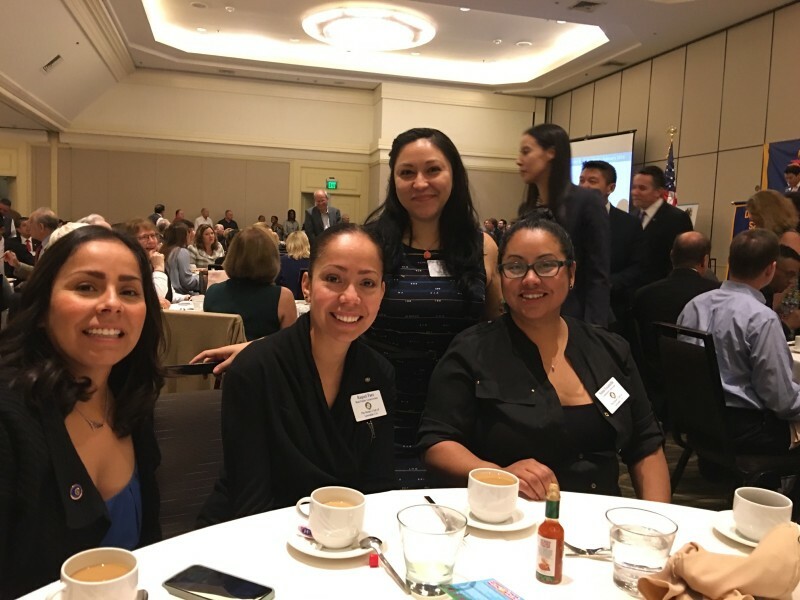 [photo] Left to right: Marcela Paez (President), Raquel Paez, Sandy Rodriguez (Secretary) and Sonia Escamilla enjoy a morning together at the District 5280 Breakfast. Other Lawndale Rotarians in attendance include: Hedy & Bob, Mindy, Sandra and Shirley. Founder and Chairman of Vision To Learn, a nonprofit organization that provides free eyeglasses to children in low-income communities. Thank you Sandra Horwitz for the hard work you’ve put in for our club to be a part of this wonderful cause. Such an amaizng morning surrounded by inspiration and the speaker brought me to tears.